Google Earth westerly view of Mt Nullum. Uki village top left, confluence of Oxley and Tweed Rivers far right (Byangum). Note cleared steep slopes. NULLUM - Possibly from the Bundjalung nuluny meaning “digging stick”. Its northern face is plateau-like, but runs south as a ridgeline towards Uki. Mount Nullum Nature Reserve (no public access) was created in March 1999 to protect habitat for several threatened wildlife species. It covers an area of 99ha and forms part of a regional wildlife corridor for species migrating south-east to north-west through the Burringbar Range. ​Mt Nullum ​intruded later than the Mt Warning complex. 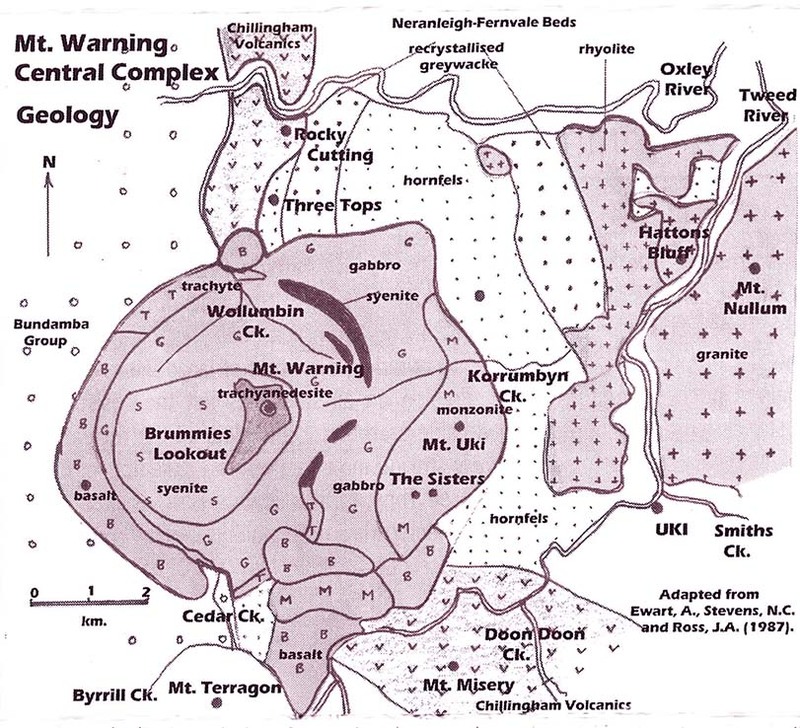 The diorite, or micro-granite, of the magma chamber has also been exposed. 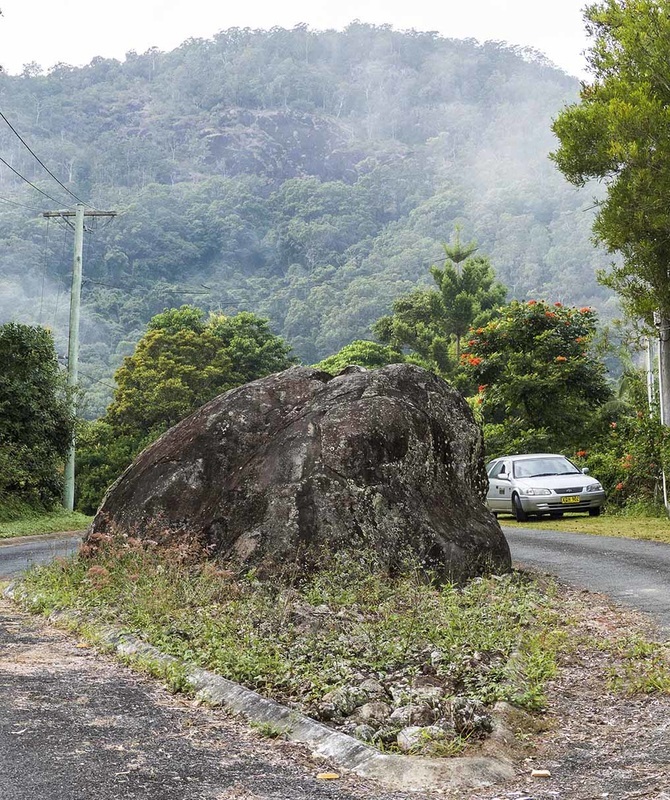 It takes the form of tors, or rounded boulders, on the lower slopes of Mt Nullum beside the Uki Road. Interestingly, Hattons Bluff, just across the river, is made of different material.